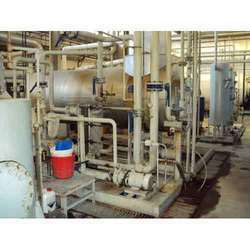 We provide our clients with competent CO2 Plant Reconditioning Services. These services are extensively availed by breweries base, distilleries base, fertilizers base and natural spring plants. Our personnel undertake these services and test their quality for ensuring compliance with international standards and also provide complete installation services. We offer our clients with an unmatched range of Fuel Gas CO2 Recovery Plant. These are precision-engineered using quality materials and advanced production technology. 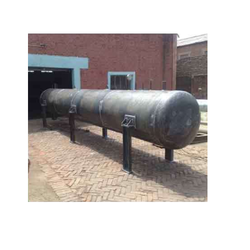 Our range is ideal and acclaimed for removing continuous flaring of gas from oil, gas and petrochemical plants, wherein the gas is safely and cost effectively recovered for utilization in other purposes. 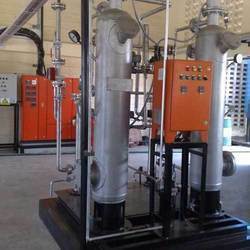 We are engaged in offering our esteemed clients with an unmatched range of Diesel Base CO2 Generation Plant. These plants are based on advanced technology mechanism and possess sturdy design with cross head and stuffing box. This ensures complete isolation between the combustion chamber and the lubricating oil whilst preventing contamination of the lubricating oil. We offer these Diesel Base Plants to clients from across the globe and make use of quality raw materials in its production. 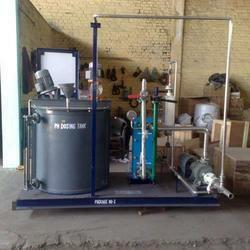 We are engaged in offering our clients with a qualitative range of Dry Ice Round Block Machine. These machines are fabricated using quality raw materials in order to ensure durability and high tensile strength. Our personnel also make use of latest technology in the production of these machines to provide them efficiency and dimensional accuracy. Moreover, we also offer this square/ round block machines in varied specification as per the requirements of our clients. Our esteemed clients can avail from us Internally Heated Dryer for Gases. These Heated Air Dryers are highly efficient and accurate in its functionality. Our range is manufactured using quality components and parts and made available at competitive prices to the clients. The drying unit of these dryers possesses 2-vessels filled with Activated Alumina or Molecular sieves desiccant, wherein one vessel remains in drying cycle for 4 hours, while another vessel simultaneously regenerates at atmospheric pressure. Around 3% flow of dryer capacity is used as a purge for regeneration. We also offer electrical heaters in a central finned stainless steel pipe in both drying vessels. In this, the heating cycle is for 2 hours whilst the hot purge air increases desiccant temperature to around 100 degrees C.
At this temperature regeneration is complete (due to dry air purge), wherein the dew point achieved is around (-) 40 degree C and if further lower dew point is required, air purging rate is slightly increased to 5% for (-) 60 degree C and to 7.5% for (-) 80 degree C Dewpoint. 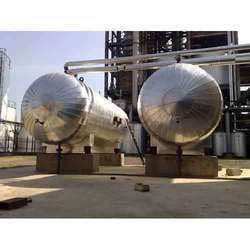 Our clients can avail from us Ammonia Storage Vessel. These vessels are manufactured using quality raw material and advanced techniques of production. Our range has longer working life and is also acclaimed for high performance features. These storage vessels are offered in horizontal or vertical dimensions and are generally mounted on stands or saddles. It also has an access port either at the bottom or at the top. 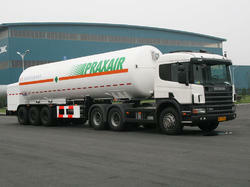 Our esteemed clients from across the globe can avail from us a qualitative range of LAR Tanker including LOR & NOR. These tankers are acclaimed in the industry for features such as high functionality and corrosion resistance. Our range is ideal for transporting liquid CO2 from one place to another and can also store liquids as well as gases under high pressures without any risk of rupture. We bring forth our clients a qualitative range of Water Chiller. These are widely used in die mould chilling, oil chilling and chemicals chilling areas. Our range of water chillers is designed, fabricated and housed in square pipe frame with CRC power-coated panels and locks. These are mounted on heavy duty casters for easy mobility. 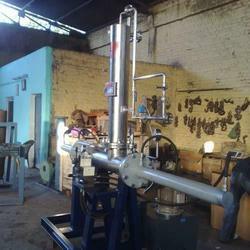 Moreover, we also offer these water chillers in customized specifications as per the clients’ requirements. Leveraging on our in-depth industry experience of over a decade, we, "Ashirwad carbonics (india) private limited", have established in 2007 as reputed manufacturers and exporters of Plants and Equipment from India. Our range is precision engineered and widely used in various application for preservation of food items and fire fighting. We have in our repertoire a qualitative assortment of CO2 Recovery Plants, CO2 Generation Plants, Cryogenic Tanker/ Pressure Vessels, Mobile/ Transportation Cryogenic Tanks, Dry Ice Equipment, Vaporizer, Co2 Ceiling Plant, Co2 Dozing System, Plant and Equipments. Our range also comprises Gas Dryers, Industrial Refrigeration Units and Cylinder Filling Systems. 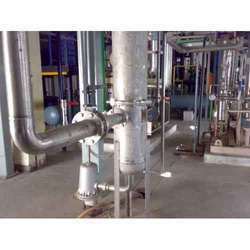 In addition to this, our company has also gained expertise in offering Engineering Consultancy Services for Feasibility Studies, CO2 Plant Reconditioning and Pressure Vessel Designing. We also undertake various Turnkey and Installation Services, whilst gaining utmost client satisfaction. Our company is ISO 9001:2008 Certified and possesses advanced manufacturing facility that is equipped with technologically advanced machines such as hydraulic press, diesel generating set and surface treatment to manufacture our range at par with industry set standards. We also have set up associated with third party inspection agencies such as BVIS, SGS and Mecelec for checking the quality of our products. Our researchers also play an important role in bringing out innovative techniques in our range. These personnel enable us offer clients with products that are based on advanced mechanism and increase business yields of our clients. Moreover, owing to these quality features and our ethical business practices, we established a huge client base in India, the African Continent and Belgium.